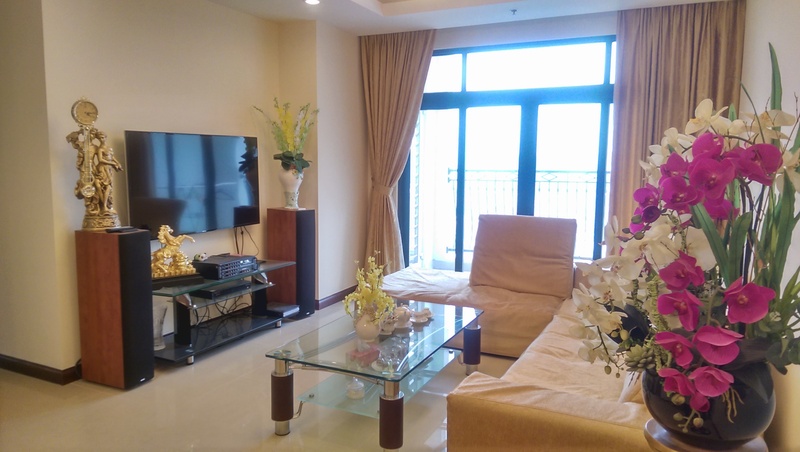 This is an impressive 160 sqm apartment located on high floor of R3B, Royal City Hanoi. It comprises of 3 bedrooms, one living room, 2 bathrooms, a spacious kitchen, and a big lobby. Fully equipped and furnished with neoclassical style furniture, chandeliers and curtains, all in excellent condition. The unique ambience is perfectly complemented by large windows and decorated high ceilings. 3 bedroom apartment in Royal City for rent, with total living area of 132 sqm, composed of 3 bedrooms and 2 bathrooms, with a nice living room, large kitchen. It is furnished with nice furniture with good quality, and modern electric equipment.